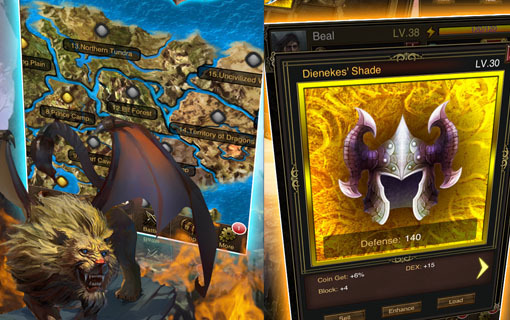 The 1st RPG game Combining Diablo and Tower of the Sorcerer on your iPhone, and Android! The world is once again under the shadow of the demon lord. United with the undead army. It is your destiny to step out and save the world. Pick up your sword and start your journey! FIND OR CREATE YOUR OWN ACURA! Classic fantasy story - human, demon, elf, dwarf, orc, undead.....who will survive the Great War? Endless dungeons and legends - hundreds of dungeons and epic. Stories carefully crafted for you to explore. Enormous equipments and legendary sets - tremendous amount of unique and powerful equipments waiting for you to collect. 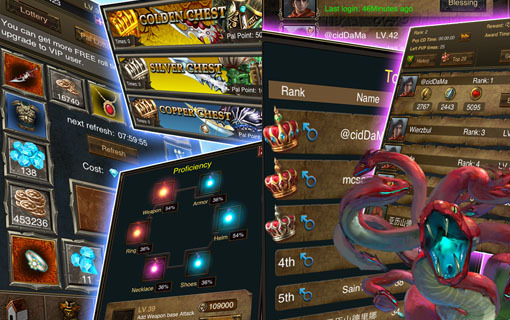 PVP battle system - fighting players from all over the world. Are you the strongest warrior? © Copyright 2013 Happy Bluefin, Inc.